On Silverfin’s authority blog experts in the field of accounting and technology share their thoughts and opinions, and our partners also contribute their expertise. This following article has been written by our partner, Exact. Click here for a full overview of our partners. In the new era of connected technology and instant communication, accountants must evolve their business model to make the most of new automation technologies. Clients expect that the routine administrative tasks, which would have occupied a large part of accountants’ time in days past, will now be achievable in minutes. Though technology makes accountants’ lives much easier in this respect, it has also completely re-written the way they service their clients. With online tools, customers can get admin done themselves. What they need now is a higher level of service - a business advisory accountant. As a result, accountants need to understand how to use automation to become trusted business advisors, which in turn will help them avoid being left behind by digitised competitors. They must update the way they provide their service, using deeper integration with clients’ systems to provide strategic business insight as well as accounting advice. Those firms which use automated insight into clients’ systems to drive astute business guidance will be well positioned to ride the new technology wave, rather than being crushed by it. With automated practice management tools, for example, it’s possible to access client data streams, books, documents and communications alongside your own within a single platform. This enables you to get regular updates on any anomalous events which might indicate a need for a strategy change or countermeasures. If your system flags up an unexpected hiccup in a client’s cash flow, for example, if you’ve got comprehensive insight into their company data you may well be able to pinpoint why the problem has arisen and suggest a fix before the client asks for it. With this extra level of information on hand, it will be easier for you to give valuable insight to clients, encouraging them to see you as an advisor rather than an operational expense. Make sure you keep a single integrated system to handle all client data streams and integrate your information to help make admin processes fast and achievable. There are two main benefits of adopting a single-platform system: ease of use and depth of insight. You’ll be able to manage all the various aspects of your assignments from one dashboard, with everything laid out in front of you at once, rather than having to bounce between windows and platforms, online and on-premise. But as we investigated above, you’ll also be able to see deeper into both your clients’ affairs and your own. Take an example. If you know that a particular month-end is set to be rough for a particular client’s finances, previously you might have had to engage in a series of calls and emails, supported by a plethora of documents, to get to the bottom of the problem. If you operate from an integrated system in the cloud, by contrast, you’ll be able to report on everything from sales and purchase orders to revaluation of stock, margins and project progress from your own workstation, cutting out a huge amount of admin time and, more importantly, providing clients with an on-point advisory service at the point of greatest need. Ultimately, it doesn’t matter how much information you have at your fingertips - if you don’t analyse it, you won’t get any value out of it, and neither will your clients. Automated client advice dashboards are the key to this. By moving your and your clients’ data into automated cloud-based tools, you can start to use a ‘management by exception’ model. Essentially this means that the system will constantly scan incoming information on work in progress, stock, sales, quotations and so on, as well as your own billable hours and time capacity, and highlight any immediate or upcoming pain-points you’ll need to address. You can also turn these insights into visuals to help present your recommendations to clients in a more engaging and straightforward format than pages of numbers. Times are changing. Clients need to be provided with a tailored, on-time service which addresses their wider business concerns as opposed to just their book-keeping. As such, automation is going to be increasingly essential for accountants looking to stand out from the competition and win over new business in the coming year. The simple question is: which accountants will implement intelligent systems and overhaul their client services before they are overtaken and left behind by their competitors? 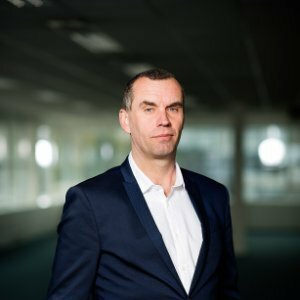 Jan Lamaire is General Manager Cloud Solutions Belgium & Luxemburg, Exact. He wants to give accountants the tools and insights necessary to help SME's make smart business decisions - and in the process, help accountants become trusted business advisors.